Are you notoriously hard to shop for? Well, you’re in good company, because the majority of us musicians are. Our friends and family rarely know exactly what to get us around the holiday season. This year, you can send them a link to this guide that has some of the best gifts for guitar players that won’t break the bank. While not entirely groundbreaking, there might be an accessory or two on here that you really need, and what better a time than the holidays to get this kind of stuff! Let’s get right into the list. Clip on tuners are so popular because they’re accurate, super portable, and can light up during a gig. I’ve tested about 3-4 of these now, and I keep coming back to the Snark SN5X. It’s the only one that hasn’t broken on me yet, and is really affordable (you can typically find it for under $10). This one’s good for guitar, bass and even violin. One of the things that’ll make you want to stop practicing or playing is being out of tune. It never hurts to get into a good habit to tune throughout your session, and these types of tuners make it easy. Strings are another essential that you’re bound to need throughout the year. If your strings aren’t staying in tune or are looking grimy, it’s time to switch them out! I’ve tested a lot of strings this year, and my favorites are the Ernie Ball Paradigms. If you’re looking for a more budget option, you can’t go wrong with the regular Slinkys. With most string manufacturers, the more packs you get, the cheaper the price becomes. Can you believe you can subscribe to strings on Amazon to have them delivered every couple of months? We’re living in some fun times. When asking for strings, make sure you include the string gauge you use. There are so many good apps and books for guitarists these days. I’ve tried literally 100s of different apps, and close to that many books over the years, and have made two of the best lists ever for this type of stuff. If you’re looking to gift apps, check out this post. If you’re looking to learn on your own schedule, books are one of the best values in the entire world. Check out this post which has the best guitar books for beginner to advanced players. These are two of my favorite lists, and both of these things will help your playing because you’ll be increasing your guitar knowledge! Little shameless plug here, but guitar lessons are so important. You can now learn from anywhere in the world via Skype video lessons. There is a wealth of guitar information out there for free right now, more than ever before. But it’s crucial to have someone to guide you. How do you know what to practice, how to get better, what mistakes you’re making, if you don’t have someone helping you out? If you want to take guitar lessons, or buy them as a gift, email Brian@ChasingSound.com, and tell me that you found out about lessons through this post. If you’ve been reading Chasing Sound this year, you know I went on a quest to try and find the best guitar pick. I’m going to give you three of my favorite options out of the 100 or so picks I tried this year. If you’re looking to get one of the best picks that’ll last you for a long time, has superior materials, playability and construction, then you have to check out Red Bear. These are the best picks I’ve ever played. If you’re looking to get more than one pick, you should check out Swiss Picks. I reviewed their picks this year, and they’re a lot of fun to play with. They look like cheese, have holes that help with slippage, and they’re a lot of fun to play with. They even have a pick that glows in the dark. How cool is that? Finally, if you want to get an industry standard, and also spend the least, you should pick up a pack of Dunlop Tortex picks. These are the famous picks that have been on countless albums, and tend to disappear. Recording is one of the best things you can do as a guitar player. It’s great to be able to record and create a “lick library” for all the stuff you write. It’s also good to get into recording so you can record demos, and even full songs. I did an entire song from my bedroom this September, and it turned out pretty good! I did it with the Focusrite Solo which works really well if you’re using amp simulators. Not all interfaces in this price range do, so it’s worth checking out the Focusrite, because you can typically find it for under $100. Being able to record what you’re writing opens up a whole new world to you as a musician. You can send tracks back and forth with your friends and collaborate, and so much more. If I didn’t have an interface or studio to go to, this would be at the top of my list this holiday season. Not every mini pedal is going to be affordable, but it turns out a lot of them are. Mini pedals have been all the rage the past couple of years. They’re great because you can get such a good sound in a compact box. That way, you can fit more of them onto a pedalboard, and have some great sounds for your gig without breaking your back. I’m a huge fan of Dunlop’s Crybaby wahs, so it’d be great to check out their mini version of the classic Crybaby. I also really dig the Ibanez Tube Screamer, and this mini version of the pedal is perfect for any pedalboard. And if you want an awesome phaser that’s built like a tank, you should check out the mini MXR phase 95. Straps are a really fun way to show off your personality. Guys like Joe Satriani and Steve Vai have some of the coolest looking straps out there. But often, it comes down to comfort and what will hold your guitar well. I’ve often relied on a Levy’s guitar strap. They’re really comfortable so you can play for a long stretch of time. If you’re playing a lot of gigs, you want to make sure your guitar doesn’t take a spill out of your hands, which is why strap locks are important. There are a ton of different brands out there, and you’ll generally want to stick to one so you can switch straps between guitars. I currently use Schaller strap locks for peace of mind. While there are so many ways you can practice right now, many of us still use a practice amp when we’re at home. Again, this is a field where there are a lot of options. If I’m not using my phone to practice, I’m using a Roland Cube. The amp has a couple of different amp emulations, built in effects, and won’t wake up the neighbors. Another great option for under 100 bucks is the Line 6 Spider. 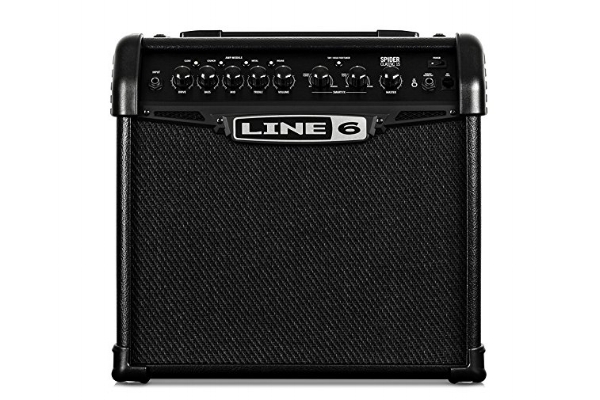 Line 6 makes great gear, and this is a great practice amp to start out with. Is your guitar sounding nasty, strings a mile off the fretboard, or it’s time to switch strings? You need a guitar maintenance kit. It’s important to keep your guitars in good condition. When they play better, you’ll play better. 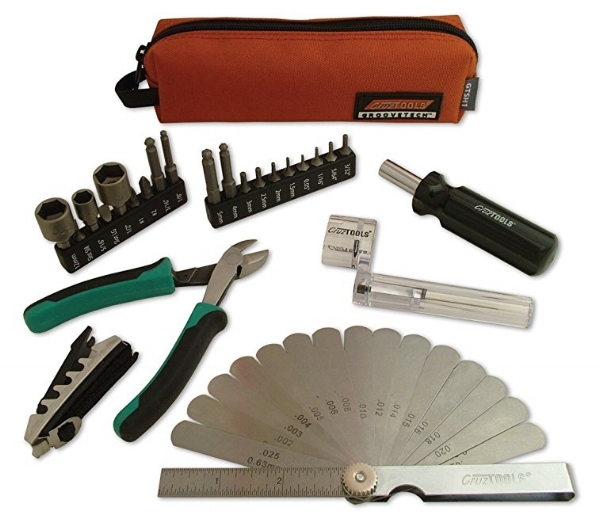 I currently use the CruzTools kit for all of my guitar fixing needs. It has everything you’ll need at home or while at a gig. So now, rather than not have any idea about what you want for the holidays, you should have a lot of suggestions for potential gift buyers! These gifts are good for the holidays, but also for any occasion where you need to get something for the guitarist in your life. It’s a near guarantee that their eyes will light up when they receive any of these awesome gifts. Happy shopping!